Reiki has always been defined as a simple and natural way of healing. In my experience, Reiki encompasses a myriad of things from healing to manifestation of our desires in this plane. Using Reiki in my daily life had helped me realized so many facets of life including finding and fulfilling my soul purpose. It provided a holistic way of living and perceiving life, involving the individual in his/her development physically, emotionally, mentally and spiritually. This is the reason why I refer to Reiki as a way of life. For many others, Reiki is a path to personal and spiritual growth. It was during the nineteenth century when a Japanese monk, Dr. Mikao Usui rediscovered this simple method of healing in his search for the manner by which Jesus Christ did his healing during his ministry. His search led him to discovering how to use energy not only for healing but for other purposes as well. 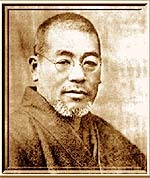 It is also believed that since Dr. Usui, during his search for the method studied various disciplines including Buddhism, many attributed Reiki's roots to Tibetan Buddhism. The art of laying-on of hands is ancient. People have been using it since the dawn of time. It is a natural instinct to put your hands on one who has been injured or is not well. Mothers are one example of this. When a child is injured mothers often put their hands on the afflicted spot. Human touch conveys healing care and love. This energy is known by many names. "Rei" is a Japanese term for universal, and "Ki" or "chi" in Chinese, "ruach" in Hebrew and "prana" in Sanskrit means life force energy. Since this energy is universal, it exists in all things, living or inanimate. In various schools of thought in mysticism, this energy exists in every fiber and tissue of every living organism from plants, bacteria to the largest animal. It exists in the environment around us in the air, sunshine, water and the earth, explaining why a walk in the woods is pleasurable and energizes our body. It exists in the food that we eat and everything that our hands can touch, be it dense or subtle. This Life Force Energy sustains and supports all life and matter that exists. It is the foundation of all life and we might call it the cosmic soup. Each thought, action and word are fuelled and nourished by this all-pervading energy causing all things to exist in their material form. This Life Force Energy had long been known and harnessed by the ancients to suit whatever purposes they may want in a given moment. Only now has it been rediscovered and used again to aid man to fulfill his next step in soul evolution. Although this Life Force Energy had been mentioned in the Bible (Genesis, Let there be Light) and other texts of religions all over the world, it is non-sectarian and can be used by any individual with or without any religious faith. It was described and used by yogis in their breathing exercises and meditations for thousand of years to attain enlightenment. Kabbalah, the Jewish mystical theosophy which began around 538 BC referred to this energy as the astral light. Same is true with other schools of thought-Theosophists, Rosicrucians, Native American Medicine people, Tibetan and Indian Buddhists, Madame Blavatsky and Rudolf Steiner. This energy is so non-judgmental and unconditional in its most basic quality that some define Reiki as Love energy. In science, particularly quantum physics, scientists have discovered that upon splitting matter into its most elementary state from chemicals to molecules to atoms to sub-atomic level they are left with an energy that expresses itself either and both as a particle (light) and a wave (sound). Although quantum physics explains it in more elaborate and complicated terms, this energy is the same Life Force Energy we are referring to as Reiki. This is the story of Dr Mikao Usui, originator of the Usui Reiki System of Natural Healing. The only history we have was put on tape by a Mrs Takata, a Reiki Master trained by a Dr Havashi who was taught by and worked with Dr Usui. Dr Usui was apparently a genius. a great philosopher and scholar. He was a Christian minister and the principal of the Doshisha University in Kyoto, Japan. As he took the podium one Sunday in the late 1800's, Dr Usui noticed a half dozen students in the front pew. Usually students sat at the back. One of the students immediately raised a hand. He stated that the six were co graduate in two months. but before leaving they wanted to settle an issue. First they wanted to know if Dr Usui had absolute faith in the Bible as it reads'? "Yes." Then did he believe that ,Jesus could heal by laving on hands'? again Dr Usui said he did believe. The student said that he and the others also wanted to believe and would Dr Usui please give them one demonstration. Would he please heal the blind or cure the lame or just simply walk on water? Dr Usui said that although he believed these things had been done. he himself had not learned to do them. The spokesman said, "Thank you very much. We can only say that your belief in the Bible is a blind faith. and we do not want to have a blind faith." Dr Usui's response was that he could not demonstrate at that time but would someday like to prove it. He said he would find how to do it. then come back to show them. With that he resigned, on the spot. The next day he made plans to study the Bible in a Christian country. Dr Usui chose America. He entered a university, possibly University of Chicago, but no one is certain. He found that the Bible teachings were not significantly different from what he had studied in Japan. No one he met there knew how Jesus healed. However, while at the university, he studied other philosophies, and he found in Buddhism a passage saying Buddha healed by laying-on-of-hands. So for the remainder of his seven years in the United States, he concentrated on Buddhism, hoping to find a formula for the healing arts. He didn't. He left there to study in a Buddhist country - Japan. He returned to his own city of Kyoto. Kyoto had the most people and the biggest monasteries in Japan. He decided to visit all the monasteries starting with the largest, the Shin. At the Shin, Usui asked a monk if the Buddhist Sutras gave accounts of Buddha healing. "Yes." He asked if the 5hin monks had mastered the art of healing the body. He was told, "We monks do not have time for the physical in reaching the spiritual growth. Spiritual healing is first." Usui walked away into the jungle to visit other temples. Their stories were the same. None of the monastery monks could heal. His last stop was at the Zen temple. Here he heard again that the monks were very, very busy and had little time for the body healing - but they were sure that someday, during meditation, they would receive that great light and then they would know how to heal. Dr Usui decided to stay on and study all their secrets. He spent the next three years studying the Sutras but without success. He then got permission to stay on at the Zen temple to do independent research. Dr Usui learned Chinese, because the Japanese Sutras were translated from ChineseHe then mastered Sanskrit, because Buddha was a Hindu. While working on Sanskrit he found a healing formula. There was no mistaking what it was. but the 2,500 year old formula had to be interpreted and tested. He told himself. "I cannot guarantee myself whether I will live through it, but if I don't try the test, years of study will be wasted." He talked about his plan with the head Zen monk. The monk said Usui was a courageous man, and he could perform the test at the monastery. Usui said he would rather do it on Mount Koriyama. a mountain known as an excellent place for meditation. Dr Usui told the monk. "I will test myself for twenty-one days. If I do not some back on the night of the twenty-first day. on the twenty-second morning. send out a search party to find my body. I will be dead." Before departing he told the monks, "I shall go through this meditation without food - only water." He climbed the mountain. On the mountain he found an old pine near the stream. He piled up twenty-one rocks and watered them. (I don't know why). He sat with his back to the tree with the rocks before him. He threw one rock away, then began his first meditation. He expected a phenomenon of some sort but had no idea what it might be or when. He read scripture, chanted, meditated. and drank water. He had no food with him. Days and nights came and went. The pile of stones dwindled. There was no phenomenon. Nothing. On the twenty-first day, he work before dawn and threw away the last stone. The morning black was near absolute - no moon. no stars. Dr Usui meditated, knowing it was the last time. He opened his eyes expecting to see nothing, but there, on the horizon, he glimpsed a flicker of light. like a candle! He instinctively knew this was the phenomenon he had hoped for - and feared. Dr Usui braced himself. "It is happening and I am not going to even shut my eyes. I shall open them as wide as I can and witness what happens to the light." The light moved towards him. It seemed to be accelerating as it approached. Usui became frightened, his courage faltered. "Oh, the light! Now I have a chance to avoid the light, to dodge! What shall I do!? If the light strikes me. I might burn!" But he began to brace himself. "This is best. I am not going to run away! I'm going to face it! Come! If this must be. hit me!! I am ready!" :and with that. he relaxed and, with eyes wide open, he saw the light strike in the centre of his forehead. "I made contact." he said as he fell backward from the force. When he came to, he thought that he had died because at first he couldn't see and he felt nothing. The light was gone. He heard roosters in the distance and knew it would soon be dawn. Dr Usui sat, dazed. Then, off to his right, coloured bubbles seemed to rise from the earth. Millions and millions of bubbles in rainbow colours danced before him. then moved to his left. Usui counted seven colours. "This is phenomena! I was blessed today!" A great white light came from his right. Golden symbols appeared, one after another. They radiated out in front of him, like on a movie screen, as if to say, "Remember! Remember!" He didn't read them so much with his eyes as with his mind. He studied and studied. then said, "Yes!" He recalled all he had learned in Sanskrit as the symbols moved in front of him as if they were saying, "This is it. this is it. Remember, remember." After the phenomena had passed. lie said "I must close my eyes. and for the last meditation please give me a vision." He closed his eves and saw the golden symbols in front of him. It was over. "'Now. I can open my eves." As he regained awareness of his body. he was surprised to find no pain or hunger. "I feel my body is good. I'm going to stand up." He stood. "':My legs and feet are strong. I fast for twenty-one days. and still I feel I can walk back to Kyoto." his body felt well fed. "Well, this is a miracle- I'm not hungry. And I feel very light." He dusted himself off, picked up his cane and straw hat, then took the first steps of his twenty-five mile trek to Kyoto. The Zen monks were expecting him by sundown. Near the foot of the mountain, Dr Usui stubbed a big toe on a rock. The blow lifted the toenail. Blood spurted out. It hurt. The pain thumped with his heartbeat. He sat down and held the toe in his hands. The pain subsided. The bleeding stopped. "Is it okay?" He continued to hold it till there was no more pain. Then he looked at the toe, he was amazed and delighted to see the nail back in its normal position. There was no indication of injury except dried blood. "This is a second miracle!" A short distance later. he came upon a traditional mat and ashtray, which means in Japan there is an eating place near by and that all are welcome. He approached an old, unshaven man who was starting a fire in a hibachi. "Good morning old man." "Good morning, my dear monk, you are early." "Yes, I know. but may I have some leftover rice and some tea, and that piece of nori you just made? And I would like to have some salted cabbage and also some dried fish, if you have some." (This is a typical Japanese breakfast.) But the old gentleman was wise. He had served many monks after their extended meditations on this famous mountain. He knew the appearance of a seven day beard; he knew this monk had been without food for a much longer time. "I cannot let you have this rice and hot soup and all those other things, because you are going to have a huge indigestion. I have no medicine and cannot help you. Kyoto is far away. You will have to wait until I make a soft gruel." "Thank you. You are very kind, but I think I shall try it." Dr Usui was feeling weak as he moved to a table to wait for the food. The old man thought, "Well, if he wants to do it his way, fine. I am not responsible." Soon, the man's fifteen Year old granddaughter brought a tray with lots of food. She was crying and had a towel wrapped under her chin, tied in rabbit ears on top of her head. '"My dear young girl, why do you cry." The child sobbed. "Oh, my dear monk, three days and three nights I have a toothache so bad that I cannot stop my tears, and I cannot eat the whole time. The dentist is too far away, so I just suffer and cry." Dr Usui s heart opened to the child. He stood and put a hand on her swollen cheek. The girl began to blink her eyes. Dr Usui soon had both hands on her face. She suddenly cried out, "'My dear monk, You have just made magic! The toothache is gone!" Usui could hardly believe it. He hadn't really known what to expect from his impulsive action. "Is it really'? Are you telling me the truth?" It was true. she quickly removed the rabbit ears and was radiantly happy. Usui said. "Yes. now I believe you are well. The beaming child thanked him. then she ran off to her grandfather. "Look grandfather. I took off my rabbit ears! The toothache is gone? He is not an ordinary monk. he makes magic!!" The grandfather. wiping his hands on his apron. walked over to Dr Usui. "My dear monk. you did us a great service. We are grateful. We do not have money but for our gratitude. there is no charge for the food. This is all we can offer." Dr Usui said, "Thank you! I will accept your gratitude. Thank you, very much. Now for my food." With that he turned to his food and eagerly shovelled it with chopsticks. He ate happily. The people watched and hoped this magic monk wouldn't suffer any kind of indigestion. Later. Dr Usui reflected on these miracles. the third and fourth. Placing his hands on the child had again healed almost instantly, and he had suffered no ill effects from breaking a twenty-one day fast with a huge meal. "'Now. I am ready for my hike to the Zen temple. I shall be there by sundown according to schedule." · And so he was. There are three levels of Reiki: First Degree, Second Degree and the Master-Teacher Level each interspersed and taken over a six-month period and a series of attunements or empowerments. Reiki I teaches how to use Reiki for ourselves and how to share it with others. The attunement itself heals the person who receives it and the healing sessions are primarily for self-healing and for healing someone who is physically present. For most people, it is the beginning of a gentle but powerful process of improving health, well being, lifestyle, and self-awareness. In Reiki II attunement, the KI energy is measurably increased and focuses upon the emotional, mental, and spiritual healing of the person who receives it Healing in Reiki II adds considerable power to direct sessions. It also enables the receiver to do distance healing In Reiki II, three of the Reiki symbols are given and used consciously for the first time. Reiki III is the Master/Teacher degree. A Master is simply a teacher, one who has mastered a discipline No ego or ownership is involved in the term. The attunement brings in spiritual level energy and achieves spiritual healing in the person receiving it. The energy is pure joy, oneness with all life, and connection with the Source or God Reiki III is a joyous gift. Reiki III includes one more key symbols and the method of passing attunements. This degree is recommended for the serious healer, and especially for those wishing to teach Reiki and make Reiki a major part of their lives. The typical reactions during and after a Reiki attunement are increased energy; inner peace and a feeling of warmth within and/or around the body; gentle tingling sensations, especially in the hands which feel hot; a sense of energy flowing in and around the body; clearer senses; less stress and emotional problems; improved physical health; increased ability to deal positively with stressful situations; a sense of "coming home" and being in touch with the flow of life; deepened spiritual awareness and experiences like seeing auras, energy, colors, etc.